Hello everyone! Pinurabi here, making my second media tour post from San Francisco, where the sun shines and information flows. This time I’d like to write about the interview sessions between Yoshi-P and members of the gaming media. As you might expect, the matters discussed varied between interviewers. Some were treated to a demonstration of the FATE system on Yoshi-P’s notebook. While others received a preview of the soon-to-be-released benchmark software. That score... It's over NINE THOUSAND! I should mention here that Yoshi-P is utterly unstoppable in interviews. The man talks about whatever the heck he wants—like a boss. The interviewer just needs the skillz to fish the info out of him. It may interest you to know that a lot of questions were about PvP—quite representative of our North American players' tastes. 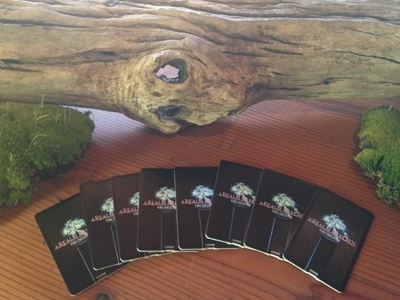 In the last picture we have the spiffy FFXIV: ARR USB memory cards prepared especially for our media guests. Each comes preloaded with a goodly amount of assets for use in articles and so forth. ...No, they're not for sale. And on that note, I shall go and pack my bags─I fear our short but memorable time in San Francisco has come to an end. Thank you for having us! Next stop: London! Can someone please tell me exactly what a benchmark is? From what I gather its just used to rate your computer based on how well it can run a game. Is that ALL it does??? Or is there something else to it I'm missing? Depending on how well the benchmark is and how bad the in game settings are optioned, a benchmark can be slightly faster for tweaking your graphics options than using the in game settings. Usually it just end up being an epeen thing, but they are handy for those with border line systems when it comes to making a purchase decision. So you run the benchmark and it tells you what settings in the game would be optimal for your system? It gives you a score, then a table that says "scores between X number and Y number can run the game on Z settings with little to no trouble." They also are a good way for the devs to show off what the in game footage will look like on your PC specifically. It's not just a video playing, it's actually rendering the game environment and so you can have a pretty good idea of what things will look like more or less, at whatever setting the benchmark was designed to run with (low, med, high settings). Okay I got it now. I was so intimidated by everything I didn't know when I first started playing that I never stopped to ask anyone the first time around when 1.0 launched. Oooooh nice, so we'll get a cool video (possibly) with it too. I was starting to think it would just have a loading bar and then spit out a score. I'm anticipating this a little more now then, I would rather not see how low my laptop scores lol. Oh no, it would be rendering scenes from the game, most likely with battle and other things interspersed for stressing the hardware. XI had a few benchmarks, each did some camera flyovers of areas, and rendered large numbers of characters on the screen at once to make the hardware really work for its score. So, do we get to use a controller then? Alpha had no controller support. Can someone find out about the Beta? Wint, maybe one of your forum diggings? 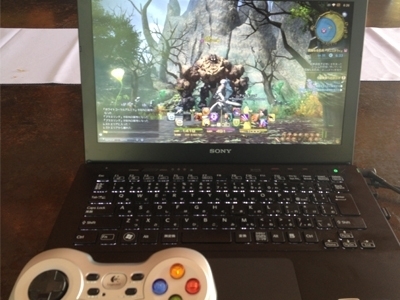 I'm wondering if they'll come out with another "Official" FFXIV controller like they did with v.1.0 . Or if that one will still be good for ARR. I recall it had some sort of macro function built into it. I think the roadmap stated that controller support would be available in phase 2 or 3 of the Beta. I'm using my phone, so don't have access to all my links to verify that though. Heh. There's no way that could be right. Assuming it was built on the same scale as the old benchmark, no. But since it's a different engine, it's entirely possible that they re-scaled the entire thing as well. This interests me. Media only event? Something anyone can get involved in? Media only it sounds like. Controller is Phase 2 of beta. I think it's right. After all, Yoshida's laptop was trained in the art of rendering. I don't think there is a suggestion here that the laptop scored over 9000 on the benchmark so it is possible the benchmark screen shot came from a super PC. One comment was about demonstrations on the laptop Whilst others looked at the benchmark. Not necessarily the same machine. 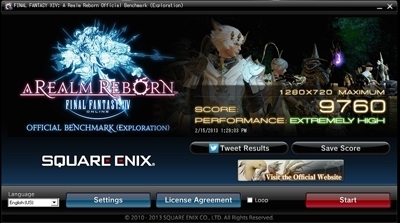 You should also note that Yoshi-P has said time and time again that the numbers for the benchmark are constantly being adjusted, so until the benchmark is actually released, take it with a grain of salt.